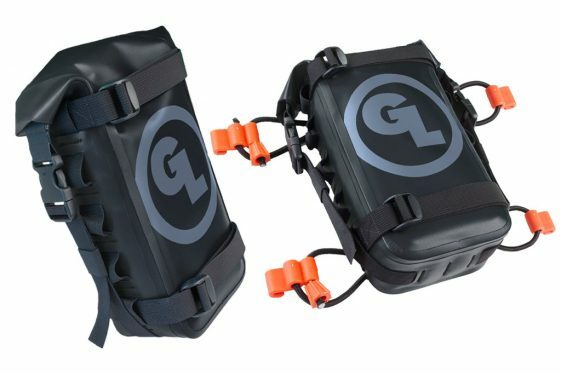  Giant Loop's storage expansion bags now even more rugged and waterproof! For 2017, Giant Loop completely redesigned its Possibles Pouch universal tool bag and Fender Bag for dirt bikes. The new Possibles Pouch is now RF-welded and features a roll-top opening to ensure it remains 100% waterproof, dustproof, mudproof and snowproof. 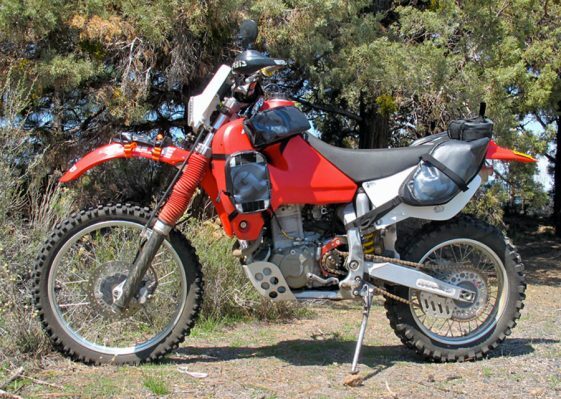 And an increase in packable volume provides more capacity to secure tools, full-size tire irons, spare inner tube, 2-liter fuel canister or other essentials to virtually any motorcycle used for adventure. Fitted with Giant Loop’s Rubber Boa Straps, the Possibles Pouch is also available in a dirt bike Fender Bag configuration. As an extremely rugged, universal gear pocket, the Possibles Pouch adds easy access storage capacity to Giant Loop’s Saddlebags and Panniers, as well as anchoring to motorcycle engine guards, crash bars, tail racks – and any other secure attachment point on vehicles, luggage or backpacks. Includes two heavy-duty webbing and thumb-lock buckle straps, and webbing daisy chain loops to provide many mounting options. Giant Loop’s Fender Bag quickly and securely mounts to plastic fenders on most dirt bikes and enduro-style dual sport motorcycles, using GL’s Rubber Boa Straps to apply dynamic tension with stretch elastic shock cord and a simple locking slot in their super tough injection-molded plastic fender hooks. 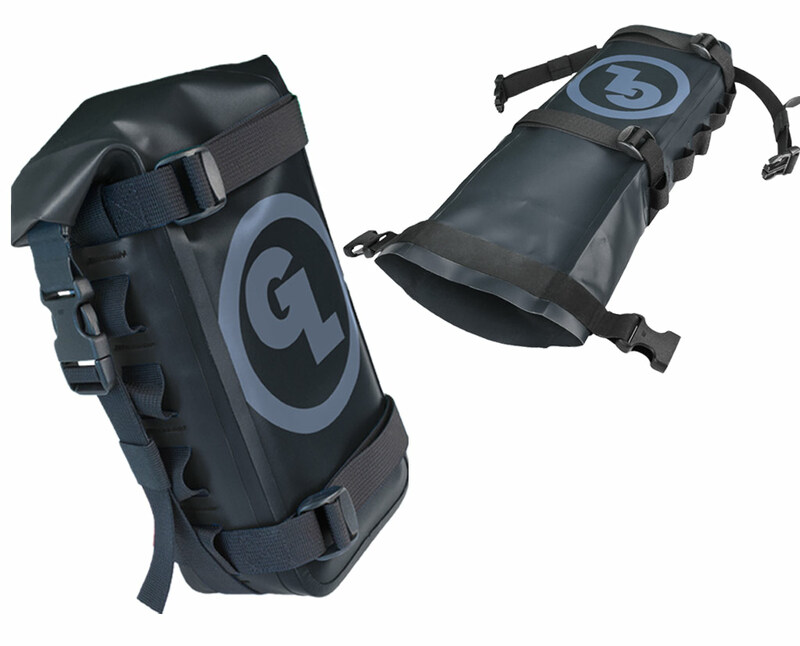 Unlike other fender bags that are notorious for getting lost while riding, GL’s Fender Bag creates a dead-solid connection to plastic fenders when packed with relatively small and lightweight gear, even in demanding off-road terrain, preventing the Fender Bag from bouncing loose. Named for the leather pouches carried by frontier explorers to keep critical gear, or “possibles,” in one handy location. The Possibles Pouch is great for the many relatively small, lightweight adventure essentials: inner tube, snacks, beverages, gloves and tools. Add it has a handy Traveler Shoulder Strap to make it into a shoulder bag for off-bike adventures. 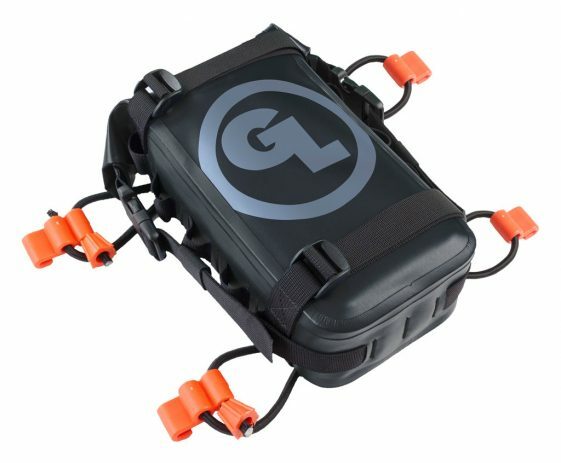 The Giant Loop Possibles Pouch can also be used in conjunction with Giant Loop’s MoJavi Saddlebag, mounting in the top center position. Giant Loop’s Possibles Pouch retails for $50 MSRP (including two heavy-duty webbing lash straps) and the Fender Bag for $65 MSRP.